Nobody at East Village Times has been a harsher critic of the San Diego Padres than I have. I remain a staunch skeptic of the approach ownership is taking. After much deliberation, I reluctantly renewed my season tickets for another season—knowing I’m going to watch carnage on the field every night for at least two seasons—perhaps much longer. I believe in the new Padres manager. He no longer has the job he took: leader of a franchise composed of young emerging stars and veterans expected to contend for an N.L. West title. He now has a roster bereft of MLB talent (except for that Myers guy) and veteran leadership. You know what? It doesn’t seem to bother him at all. I love his attitude about it. Green is also extremely knowledgeable about the game and a quick decision maker. He coaches like every game is his last…and his players play hard for him. The Padres don’t have players, but they have a Manager. Given my previous criticism of the Padres’ direction, you might assume I’d be thoroughly critical of ownership as well. I actually blame the failed experiment and organizational imbalance on A.J. Preller. I really like the new Padres ownership. Ron Fowler speaks frankly to fans. Laziness really bothers him. So does losing. If the Padres languish too long, Preller will be gone, and Fowler’s wallet will reopen. Why? Because Ron Fowler seems to be genuinely annoyed by chronic losing…especially if he’s paying substantially for improvement. Right now, he thinks he’s paying for future wins. If the Padres aren’t at .500 by the end of 2018 (Fowler’s own benchmark), Preller will be likely be fired or lose Fowler’s ear. Ron Fowler isn’t Jeff Moorad. He’ll give Preller two more years to see genuine progress on the field. I think that’s all Fowler can stand. I’m glad, because as long as ownership cares and they make real moves—fans will hang in there. Right now, most fans are buying what Preller is selling. They won’t in July of this season if the Padres are 20 games out of first place—and if prospects are languishing. They will need something beyond, the empty axiom, “trust the process.” I expect Ron Fowler will speak to the fans with something more substantive and own it if it isn’t working. I’m glad. I trust ownership like that. 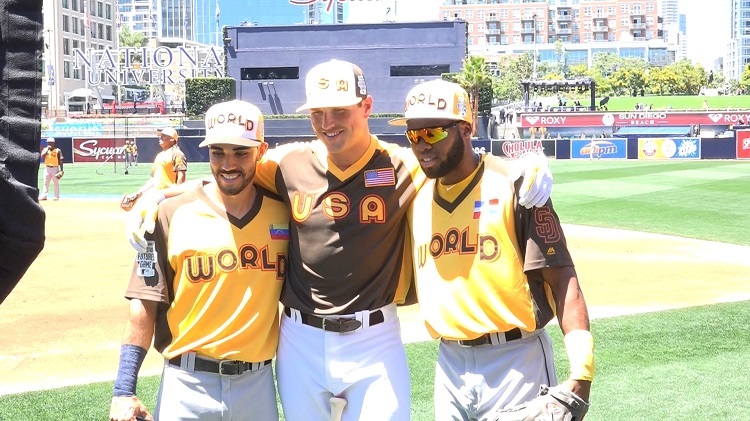 The Padres’ projected outfield will be the most exciting to watch in baseball. Those are real athletes out there. Hunter Renfroe, Manuel Margot, Travis Jankowski, and Alex Dickerson all make me want to stop what I’m doing and watch them hit. They are also quite good defensively. Dickerson just knows how to hit. Margot and Jankowski have superb range, and Renfroe has a cannon on his right shoulder. I have nothing but the highest of hopes for the Padres’ young outfield. The Padres have a lot of exciting prospects, albeit at lower levels. Many of those prospects will never see the MLB squad because they will fizzle out or because of injury. But by the end of this year, the cream should start to rise to Double-A or Triple-A…and Padres’ fans will have genuine reason for excitement then. If there is little or no cream rising to the top—even the optimists will begin to admit the rebuild isn’t working. Those who have already proved themselves in college are most likely to make it all the way–think Eric Lauer and Cal Quantrill (if he can stay healthy). My favorite prospect to watch right now is Michael Gettys…also a CF who I would love to see in Triple-A by the end of this season. A.J. Preller is a tradeaholic. This means the opportunity to improve the club always remains—if his reputation isn’t too damaged from the suspension. We will also know a lot about where the Padres are really heading as trades get made. 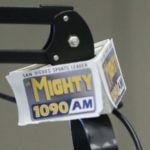 If the Padres begin to trade off the few costly or MLB-ready pieces they have left for more A-ball and international prospects rather than upper level or MLB ready players…we’ll know they aren’t rebuilding, they are “going Moorad,”—always talking about the alleged “bright future” that never comes. 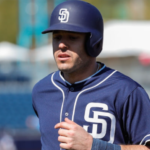 The Padres are an organization quite out of balance right now from Double-A on up—with a surplus of outfielders and second-basemen—and virtually no quality starting pitching and lacking a credible shortstop anywhere above A-Ball (unless you count Jose Rondon). Luis Sardinas is not a long-term solution. This we know, A.J. Preller is not afraid of making a move. That gives Padres’ fans some reason for hope at all times. What do you think? Why are you excited about this Padres season? Previous Can Cory Spangenberg Reclaim His Starting Job? 2. The prospects we have acquired could all be busts, but you gotta start somewhere and as long as the ownership is willing to pay for them, I’m all for it. Nothing really to lose but money. Its not like they are wasting draft picks. They are basically taking a shot on ‘unknown’ commodities. Like they say, if 20% of them pan out, we are looking good. They aren’t going to be able to spend again like they did internationally. 3. If we are out of it by June, trade early. You may get more than if you wait until the deadline. If Buchter, Hand, Mauer or any of the starters are doing well and are being sought, flip ’em. Get what you can when you can. 4. We really need to pick up pretty much nothing but college bats early in the draft. I’d say the first 3 rounds, unless some stud pitcher drops, pick up bats. We don’t have many left in the upper minors. Hopefully Kendall will be there at #3. We have plenty of young pitchers waiting in the wings in A ball. 5. Continue to sign international free agents, if worth a darn, until July. Stock that system. Agree 100 percent on Andy Green. Isn’t Fowler going into the last year of his 5 year agreement? Rumors are it could be his last. Whether he is around after 2017 will let us know how much clout his voice has. From the AllStar break on the Seidlers seemed to have a much more public role and this I want to see continue. The main reason is Seidlers are more familiar with running a baseball team. With Jay going elsewhere and Margot more than likely starting in AAA, I am good with keeping Jankowski/Dickerson and playing them both everyday to see what a larger sample size will yield. Assuming both excel, ride it and only make a decision to move one if your forced by Margotor another prospect pushing the door. They don’t have to trade either. At the very least the OF will get butts in the seats. Prospects, I would like to see more emphasis put on college level near ML ready selections in 2017 draft. The type of players that allowed the Cubs to have four straight first round picks to play on their WS roster this year. I don’t want to see them moving prospects to get ML pieces until the ” build” is further along and more prospects are showing promise. AJ has made his bed with the prosepects he chose, now develop them. If AJ really believes in these rule 5 picks, keep them on the roster as long as they aren’t holding another contributing pieces back. They shouldn’t purposely lose, but if they lose 100 games finding out what they have, I’m good with that. As for trade chips the rest of the offseason. Keep Tyson Ross in mind. If you think your chips could regress or get injured field the best offers and move them. If your a gambling man, ride them in the first half and move the same pieces at the deadline when you could pontentially get more. (I.e Buchter/Hand). I think AJ will do the latter. My two cents is there is still plenty to watch 2017 for and for those who need playoffs or bust seem to be fair weather fans anyways. Good article. As an aside, I think the Kemp, Shields et al experiment was driven by the owners and Mr. Preller’s view of timing in attacking the international players’ market. The owners wanted to do something immediately to rekindle fan interest in a previously moribund franchise. Preller knew from his scouting that the SD farm system contained almost nobody worth keeping. Furthermore, he knew he had to wait for a new round of international player signings so he wouldn’t have to compete with the big money teams for Latin players. That part of his plan worked perfectly. The acquisition of expensive veterans didn’t improve the team, but it succeeded in getting more attention — something the owners wanted. Furthermore, I don’t think the 2015 season delayed Preller’s timetable for building the Padres into a competitive franchise. I have been a fan since 1970 and this might the most interesting franchise the Padres have had. No question the 2015 season represented both a risk and a setback and perhaps it was misguided from the start but it was the first time that team leadership shoved a bunch of chips in the pile with no playable hand since the Ray Kroc era. In the end it was a bunch of money and time thrown away a few fringe prospects/players lost (Upton deal probably the worst. but no one in that list would reshape our roster or make our top 30 prospects). In my mind, apart from the time it comes down to one good outcome and one bad outcome and it isn’t fair to judge on one or the other. Do you want Turner, Ross and Wisler or Meyers, Margot, Logan Allen, Asuaje, Guerra? I would say you clearly don’t make that trade but it wouldn’t go down among the worst either. So 2015 becomes a reach a bit of a delay, but the thing that gives me the most optimism is what happened afterwards. The best executives are not the ones who have a plan and stick to it until done, the best executives are ones who react to mistakes and quickly adapt. That, to me is the most impressive thing that has happened. I don’t view last year as a sell-off, I view as a very fast reaction to a situation that could have plunged the club into mediocrity with little escape. What happened next was not the typical sell off and then figure it out, it was a very rapid shift in spending from major league roster to an international market that represented a one-time opportunity somewhat in terms of talent but more significantly in the absence of most of the high spending teams. What is interesting about it is there is now a talent pipeline that stretches beyond the low minors and some of that talent will pay off. 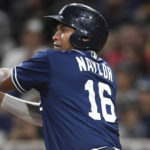 I have seen the Padres bet on a large set of draft selections, a trade, or a signing before but this franchise has bet on all of them in a pretty big way. Given I have waited 45 years already, I would be happy to wait a couple more if it means we can have a regularly competitive team and I have some optimism that it may actually come to pass. 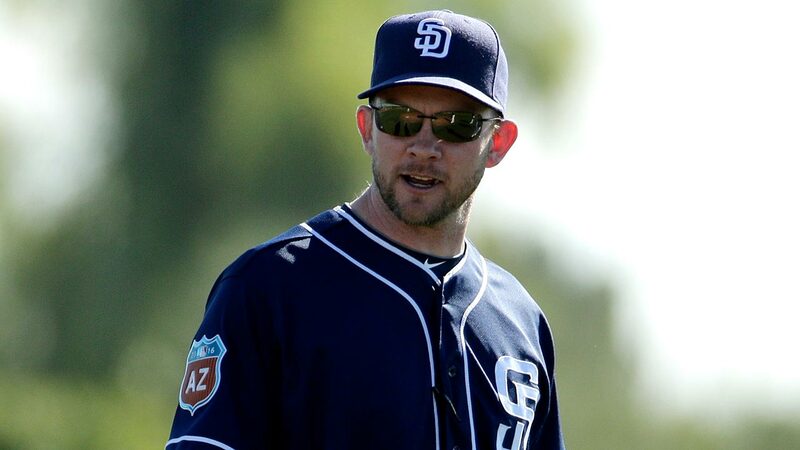 Andy Green – seems like a perfect fit for a young team. He does not seem afraid to try new things like Black seemed to be and his infectous personality will hopefully rub off on “the kids”. Ownership – although it is nice to see an owner speak the truth, doing it in the heat of the moment like Fowler has been doing, makes him look bush league in my eyes. 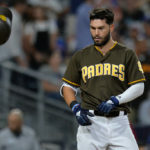 I would much rather see Peter Seidler be the front man for Padres ownership, he also seems like a straight shooter, but thinks before he speaks. 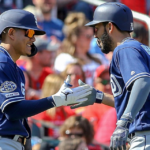 On the, “if the Padres are 20 games out in July” comment, I think every Padre fan should expect that kind of season ahead. We can blame the “failed experiment” on whomever we like, I personally think upper management was behind it, but the Padres realized their mistake and have gone full boar on the rebuild. Starting a rebuild and fielding a decent product at the Major League level are not easy to do simultaneously. Outfield – the outfield could be very fun to watch this season. 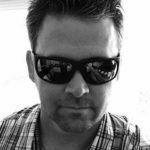 With all of the “trade an outfielder” chatter, I truly hope it is Dickeson who is dealt and not Jankowski. Having Jankowski, Margot and Renfroe cruising around the outfield could be fun to watch. 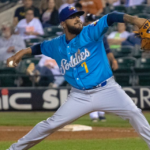 Prospects – this is the route I thought the Padres were going to take when Preller came aboard, now we have to give him and his scouts some time to fill the farm system, which they are already doing, and then give these young players time to develop. Another strong draft like last years, will help fill the prospect cupboard even more. The only concern I have with what Preller and Co. are doing is, AJ seems to be trying to bring in every International signee he had ever wanted and was unable to sign. I know this is his fortay, I just hope he isn’t going overboard with it. The thing I like to see is the Padres a building a very deep farm system. When you have this many solid prospects, the chances of seeing some of them reach their potential increases. Rome wasn’t built in a day, nor is a winning baseball team. The Padres tried in 2015 and it didn’t work. Trading – Preller does like to make trades and I do not see his suspension being any hinderance to that. 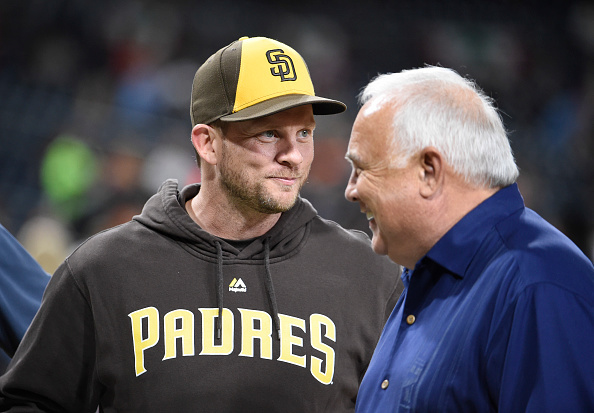 The Padres are going to have the most scrutinized medical records of any team going forward, so other teams shouldn’t have a problem dealing with the Padres. The only issue I see, is the Padres don’t have any high end guys to deal. 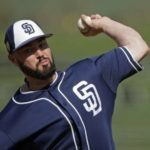 Just the Padres luck, the one off season when teams are trading top prospects like the are baseball cards and the Padres can’t get in on the action. They should be able to get some nice pieces for Solarte, Hand and Buchter, but if they had some other big trade chips, this rebuild could be in even better shape. The Padres could look to deal Myers, but I think they would take a serious hit from the fans. Of course, if they offered a deal they can’t refuse and down the road the players they get back could help the team, they would have to make the trade. Again, nice article Tim. I can’t wait for the season to start.